You would not guess that young souls in Britain betting in a betting shop would be causing much harm to society. They are just making the choice to use their money as they see fit, but that may not always be the case. 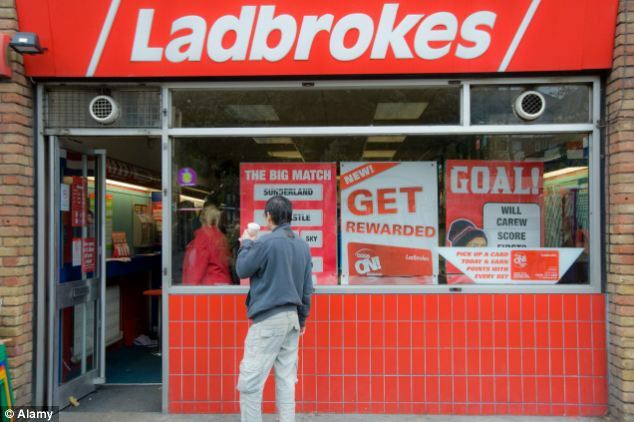 There are some who are using betting shops to launder drug money. Those who are selling drugs are almost always paid in cash. Often, they are carrying large amounts of cash around with them at all times as a result. In the event that they are stopped by police and questioned, they need an answer to why they are carrying so much money. Their solution is this: Simply take their money and put it into a fixed odds betting terminal. Playing slowly and carefully, these drug dealers can avoid taking too heavy of losses. Then, they print out their ticket and it will show that they have been playing in the betting shop all day. In large part, no one much notices if an individual puts even a large amount of money into a fixed odds betting machine. It is commonplace for people to walk in and try their luck with decent sums of money. If that person is just betting some wages that they have earned, then who would even suspect anything? This is why the system works so well. People don’t notice someone putting whatever amount of money into a machine because it is none of their business. People who are engaged in this form of money laundering are not foolish enough to not cover their tracks. They use certain techniques to make sure that they are smart enough to lose different amounts each time they play, and also to try not to lose even amounts. If they do this, they are typically going to go unnoticed. It is something that can also cost those who are not able to pull themselves away from the machines though. What may have started as a simple way to launder their money can turn into an addiction for some that costs them any profits that they would have otherwise have made.